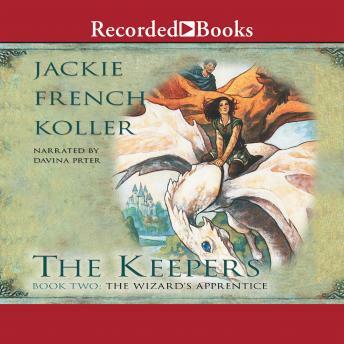 Award-winning author Jackie French Koller has written over 30 children's and young adult novels, including Dragons and Kings. In this tale, she tells the story of Princess Arenelle, who completes the quest to become the Imperial Wizard. However, she may not get to fill the position when her father, King Einar, discovers he has a son. Does Arenelle dare to defy her father? Davina Porter's enchanting narration will captivate listeners and transport them to Arenelle's magical world.